Convert Apple Music to MP3 for Any Devices. 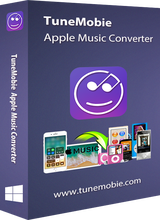 TuneMobie Apple Music Converter 2.2.7 was available as a giveaway on November 8, 2017! NB: 1 year license, supports updates. 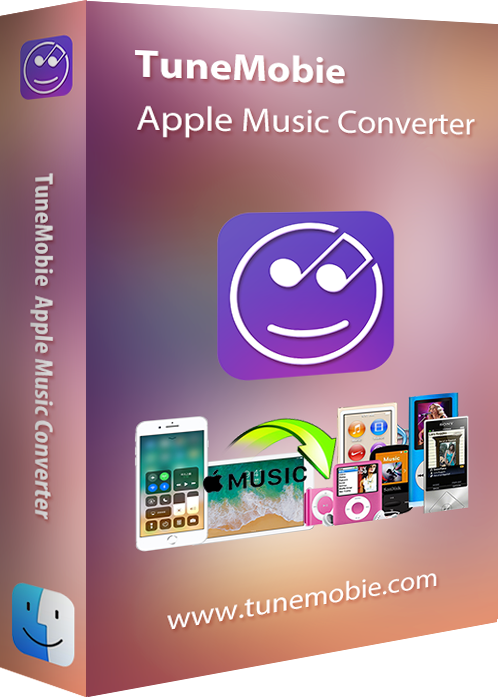 How would you improve TuneMobie Apple Music Converter 2.2.7? Convert Apple Music tracks, M4B/AA/AAX audiobook, M4P, M4A, etc. 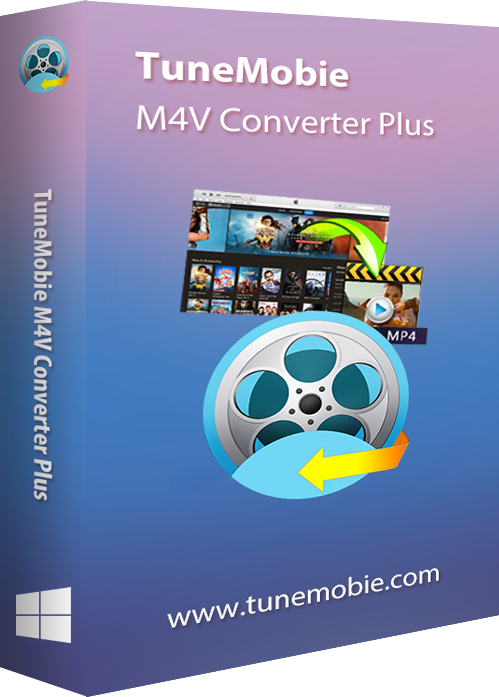 to MP3 or M4A playable on iPod Shuffle, iPod Nano, PSP, Sony Walkman and various MP3 players, preserve ID3 tags, metadata and 100% original quality. 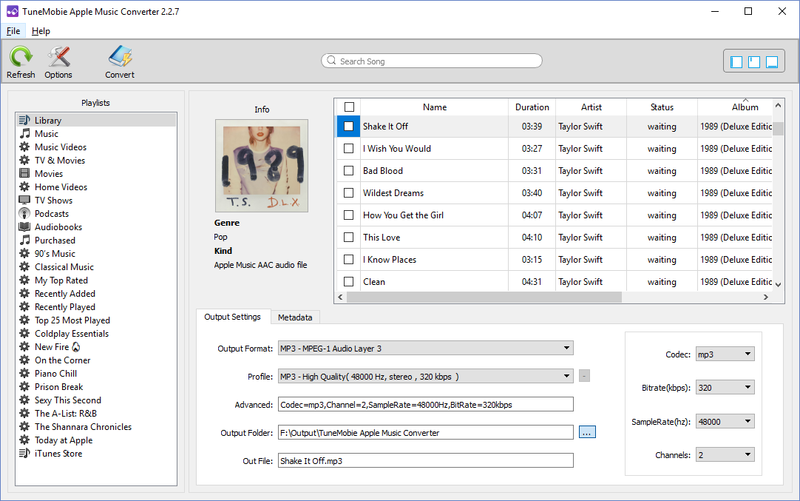 Fully compatible with Windows 10 and latest iTunes 12.7. Aha, now you can download the program, thanks. Excellent program for converting my audible audiobooks to m4a format so I can keep the chapters intact. The conversion is very fast as well and the output quality is excellent - Highly recommended. One tip is I first converted to mp3 then when I selected the same audiobooks and chose m4a - it must be using the raw converted file because it only took second for the m4a file rather than reconverting it. Excellent program for converting my audible audiobooks to m4a format so I can keep the chapters intact. The conversion is very fast as well and the output quality is excellent - Highly recommended. One tip is I first converted to mp3 then when I selected the same audiobooks and chose m4a - it must be using the raw converted file because it only took second for the m4a file rather than reconverting it. Please note that this is a one-year license, not yours to use forever. To continue using after that you will have to purchase a license. I don't see anywhere it states whether of not the purchase price, $19.95, buys you a one-year subscription or a full license. kalmly, are you sure that "1 year license, supports updates." means it wont work after a year or maybe it won't update after a year. Thank you very much for such a good and "trouble-free" program. I will purchase that program. Thank you very much for such a good and "trouble-free" program. I will purchase that program. How do you activate this? What is the activation code? Installed and registered fine. However, interface never fully loads. Simply shows a rotating timer icon in the file list window. Everything else remains light gray, including settings, etc., which cannot be selected. I'm not a newbie, I have a suitable computer, and the current version of Itunes is installed. Suggestions from developer? I suspect it may be attempting to auto-index my large file library. If so, I have a suggestion for the developer: do not do this on startup. Make this an option. I only want to convert a smaller subset of my collection, and I'd prefer to be able to copy them into another folder and point to that folder. Final result: app attempts to load and after several minutes, generates a runtime error and crashes. This happens every time. I have been wanting something like this for a long time. I have a bunch of M4A files from back when I used I-Tunes that I would like to convert to MP3. I hate I-Tunes, and have since moved on to Media Monkey, which will also sync with my Apple I-Pod. However, this program requires I-Tunes to run; it won't work without it. As a side note, the installation procedure, while allowing me to place the executable files in an alternate location, ignored where I asked it to put the Icon in the start menu - but that's a nit. Requiring I-Tunes to work makes it unacceptable to me. Uninstalled. Got the link and downloaded the software but Unlock did'not work (unknown error)! Also note the licence is given for 1 year only! Got the link and downloaded the software but Unlock did'not work (unknown error)! Also note the licence is given for 1 year only! Pretty good. Work on my Windows 10 desktop. I have an iPod Nano 6th, I tried several songs and import the output files to iTunes and synced to my Nano, no playback problem. I suggest you delete original Apple Music tracks in library, otherwise the output songs you imported will look almost same as the original tracks. I give 4.5 of 5. 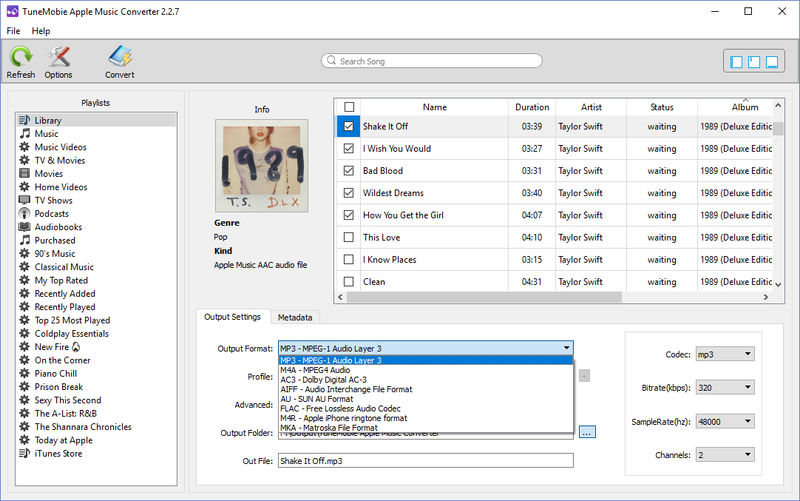 CD ripping function is expected in future version. Pretty good. Work on my Windows 10 desktop. I have an iPod Nano 6th, I tried several songs and import the output files to iTunes and synced to my Nano, no playback problem. I suggest you delete original Apple Music tracks in library, otherwise the output songs you imported will look almost same as the original tracks. I give 4.5 of 5. 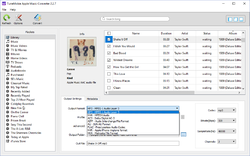 CD ripping function is expected in future version. Found installation very easy. Never knew I needed this as I can play all types of files without converting them but gave it a try anyway. It opened iTunes and added all my iTunes files to its library and I think it also added all the relevant files from my PC which left me with a problem. The name field in the library list is so small that I can't tell which file is which or where it is located; because quite a number of my files start with the same words and are only distinguish by the latter part (hard to explain but blablablaetc disc 1 of 5 and blablablaetc disc 2 of 5 look identical because the only bit of the name I can see for both is blablablaetc dis). In my humble opinion this requires some work on the user interface (if that's the right expression when talking about software) same as I have always thought about iTunes. I set it running on one of my files before starting to type this and its still going so its one of those let it run in the background cause it will take a while. Found installation very easy. Never knew I needed this as I can play all types of files without converting them but gave it a try anyway. It opened iTunes and added all my iTunes files to its library and I think it also added all the relevant files from my PC which left me with a problem. The name field in the library list is so small that I can't tell which file is which or where it is located; because quite a number of my files start with the same words and are only distinguish by the latter part (hard to explain but blablablaetc disc 1 of 5 and blablablaetc disc 2 of 5 look identical because the only bit of the name I can see for both is blablablaetc dis). In my humble opinion this requires some work on the user interface (if that's the right expression when talking about software) same as I have always thought about iTunes. I set it running on one of my files before starting to type this and its still going so its one of those let it run in the background cause it will take a while.